Japanese student sporting a sleek menswear look with plaid coat, button up shirt over ribbed turtleneck, long skirt and heeled booties. Japanese student sporting a blue streetwear look with cloud print furry coat, rainbow print sweater dress, metallic sneakers and crossbody bag with embroidered patches. 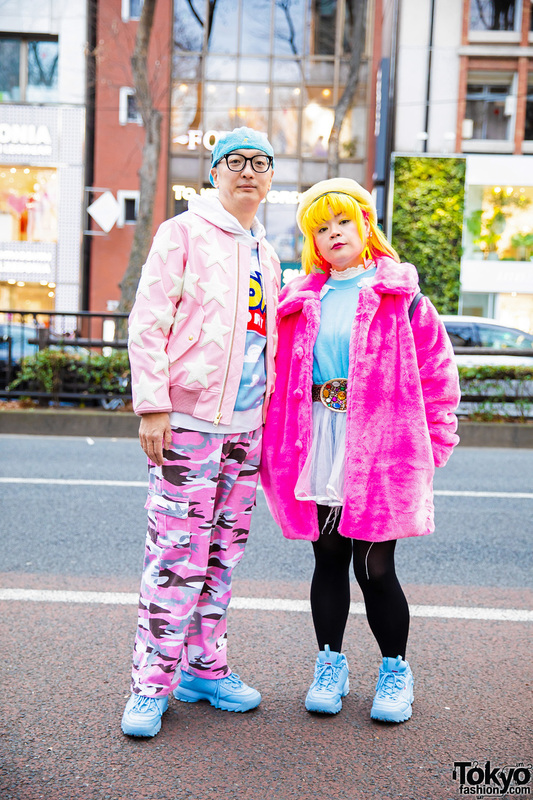 Harajuku girls sporting fun and colorful streetwear styles while out and about on the street.